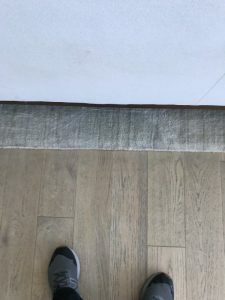 Tough Stain Removal - (310) 736-2018 Revive Carpet Repair Experts-REPAIR IT- Don't Replace it! I remove bleach stains, coffee stains, kool-aid/Red Stains, food stains, grease, paint or oil stains, chemical stains. 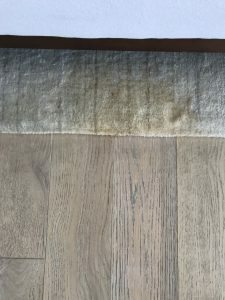 I remove this pet vomit stain from a large dog on a very expensive wool rug. Hot vomit alkalizes after about 2 months and browned the wool rug. I removed the brown and added back the lost color! This is a complicated wool carpet repair, but very effective.